This tissue culture sport of H. 'Honeybells' was registered by Mark Zilis of Illinois in 1984. 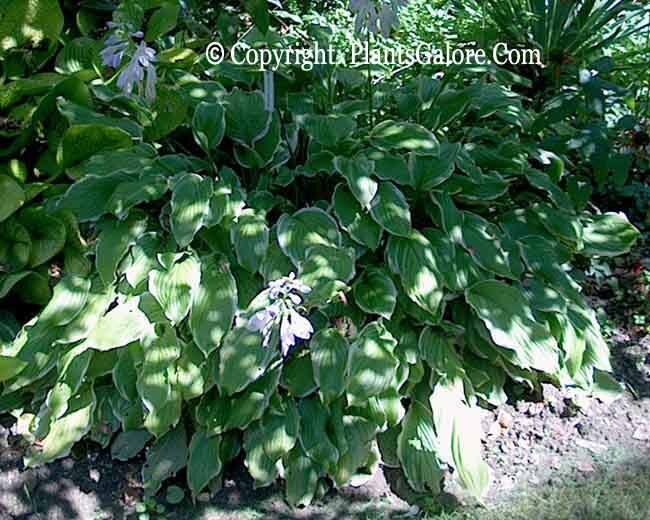 It forms a large size (20 inches high) mound of wavy, white margined foliage and has very pale lavender flowers from August into September. According to The Hostapedia by Mark Zilis (2009), it is "...from the same cultures as 'Sugar and Cream';.. .fast growing, splashy specimen plant in the garden, but off-color divisions need to be culled." Similar cultivars include H. 'Fragrant Flame'. Sports include H. 'Dubuque Sweet Standard'.